As much as I want to say something about Universal’s amazing labeling, I’ll let it speak for itself. 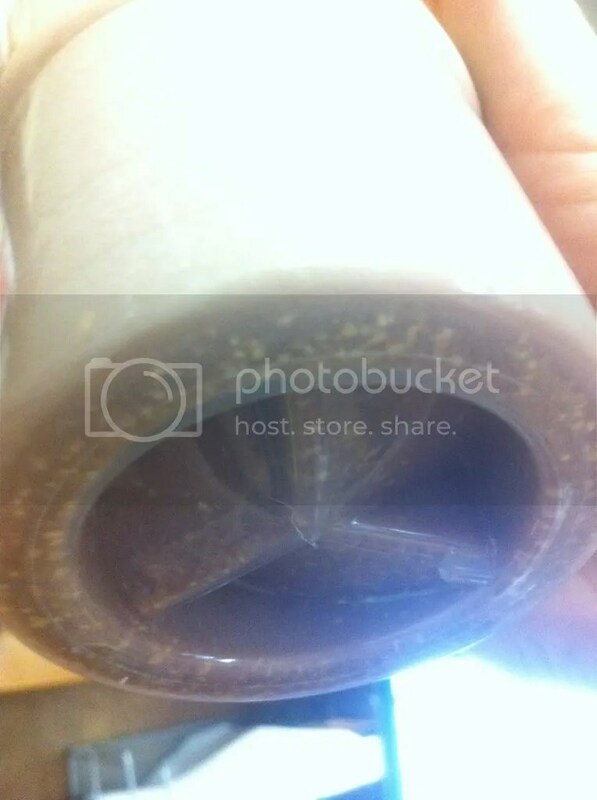 Moving on…mixing protein and oats, perhaps the best complex carb source, is not a novel idea. 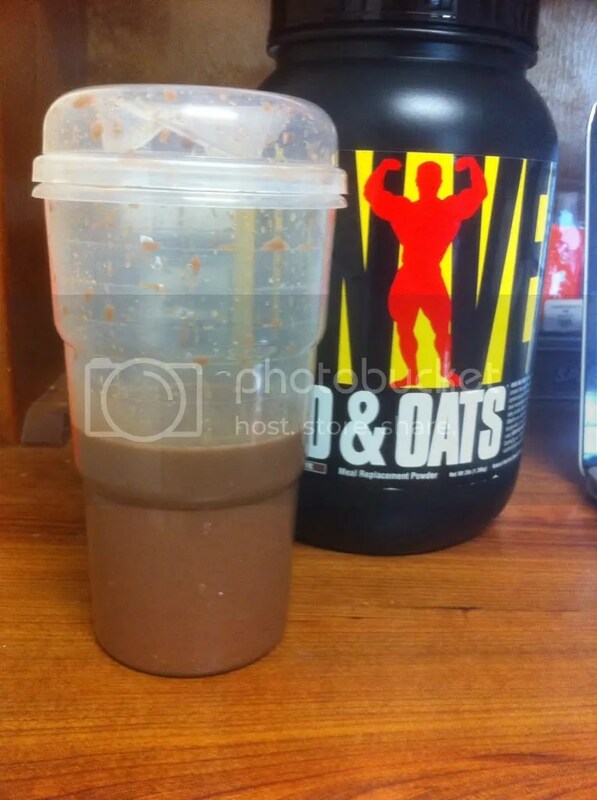 Bodybuilders have been choking down homemade protein+oats concoctions for years. A few companies had attempted to pre-package it, with mixed and largely disgusting results. Just recently, a few have managed to make viable products that are both drinkable and contain these two dietary staples. 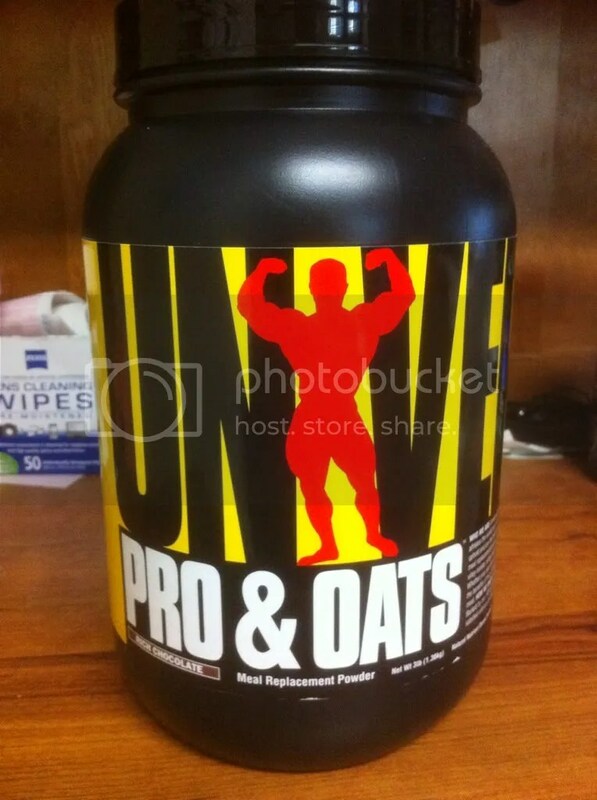 A major contender in this category is Universal Pro & Oats. This is one of a few versatile MRP’s out there. I call it versatile because it isn’t loaded with a lot of unneeded calorie sources. 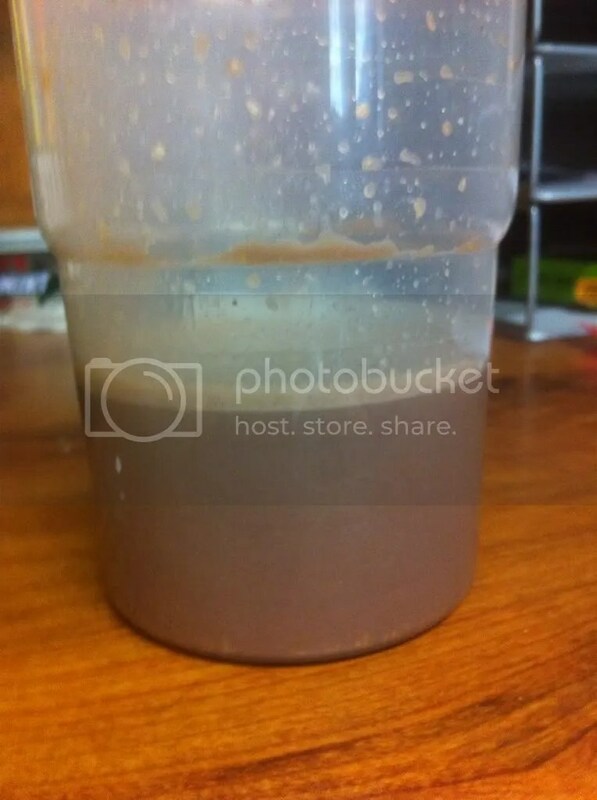 In whole milk, you have yourself a nice gainer. In water, you have a meal suited for moderate carb cutting diets. In skim milk, you have a meal replacement that fits in most normal diets. I’m very pleased with the fiber content – people that are in need of MRP’s are often short on fibrous vegetables and the like. As mentioned, oats are as good as it gets when it comes to carb sources. Universal didn’t slack on protein sourcing either: a blend of ultra-filtrated WPC, whey isolate, calcium caseinate, and egg albumin. There are 7 grams of sugar, which is the main chink in the armor in the profile – I’m not sure why it’s there or where it’s coming from. I see honey powder and evaporated cane juice on the ingredients list, so I’m guessing they are the culprits. With 7g fiber and 7g sugar, we have 17g total carbs. Only 3g of complex carbs? I’m not sure what’s going on there. 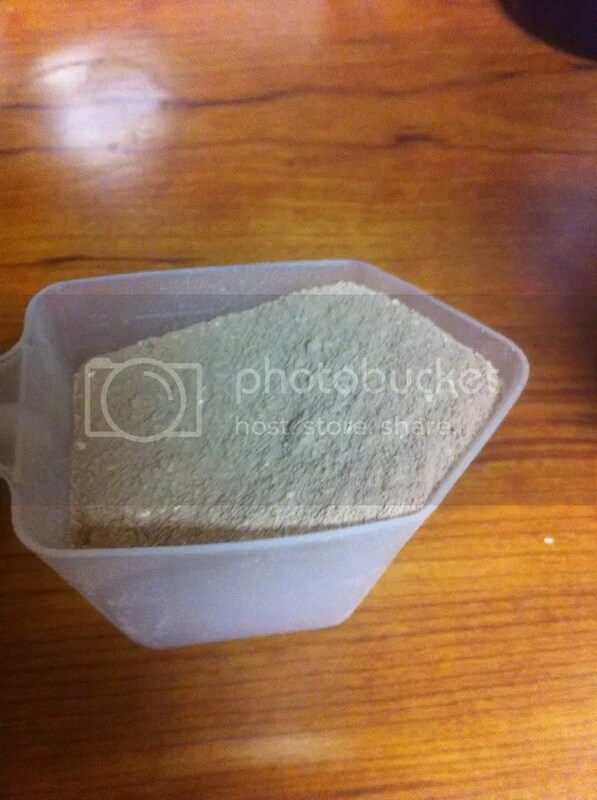 We see here the scooper, which is cool and I’ll be using it to measure other products as well. It has several units of measurement. 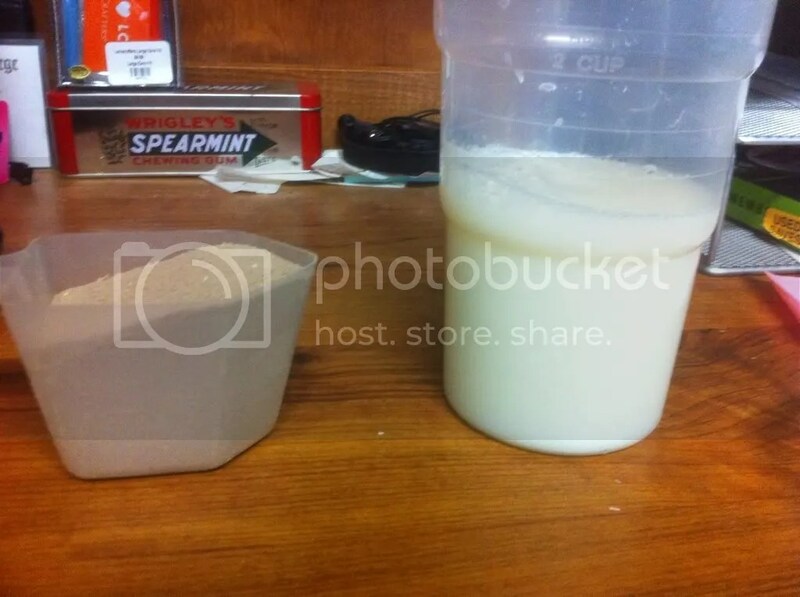 The next picture is the powder mixed in water, then in skim milk. Not a huge qualitative difference between the two, visually. Overall: Very solid product, here. What I haven’t mentioned is the price point, which is under $1/serving. This gives it a huge leg up on competitors, that are often .30-1.00 more expensive per serving. I’d like to see this picked up at more retailers to see how competitive that price gets. This helps amnesty it from the odd issue with the sugars/total carbs and slight settling. Taste is very good and should not be a deterrent for anyone. If you enjoy dark chocolate, jump on this one, for sure. As far as an MRP with a good carb source goes, Pro & Oats is a major contender for best in class. There are a couple issues I pointed out, but it nonetheless may be something that finds its way on my shelf for the foreseeable future. I don’t mean to discourage its use as an every day protein, either – it certainly can do that. And a huge thanks to naturalguy and Universal for sending this tub out to me to try out. Naturalguy offered to send it to me completely unprovoked when I mentioned that I thought it looked like a good product based on label/price in a thread. This goes to show you what kind of people are working for Universal and the way they believe in their product.